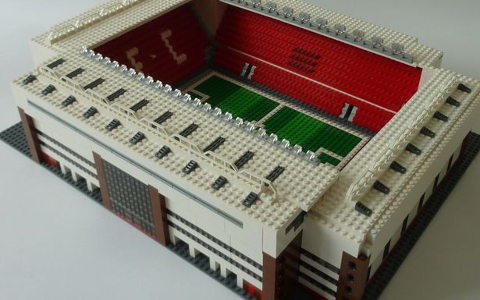 Anfield expansion plans recommended for approval. Liverpool have received a boost today, with the Liverpool Echo reporting that council planners have recommended the club’s plans for expansion of their Anfield stadium for approval by a committee. Liverpool Brendan Rodgers – Manager discusses Ludogorets tie. Liverpool Lucas Leiva – Midfielder poses with Gremio shirt. Ludogorets Liverpool – Bulgarians given a shoddy send off. Elected members of the city’s planning committee will now make a visit to Anfield next week before voting on the proposals, which would see Anfield’s Main Stand extended, giving an extra 8,500 seats, and potentially an extended Anfield Road Stand taking the overall capacity of the club’s home past 58,000. The debate over what to do about Liverpool’s capacity problem has raged for some time, with a new stadium in the city having proven to have been an unrealistic option and long-term wrangling having delayed plans to extend the club’s current Anfield home. Increased impetus from the takeover of the club by the Fenway Sports Group have accelerated the process, however, and as long as the planning committee votes in favour then the wheels can be set in motion for the £150m scheme to go ahead, taking around 20 months to give the club a capacity boost. Some residents groups remain in staunch opposition to the proposals, however, believing that they are being held to “ransom” by the club, whose Anfield ground is situated in the middle of a mostly residential area near the city’s Stanley Park.